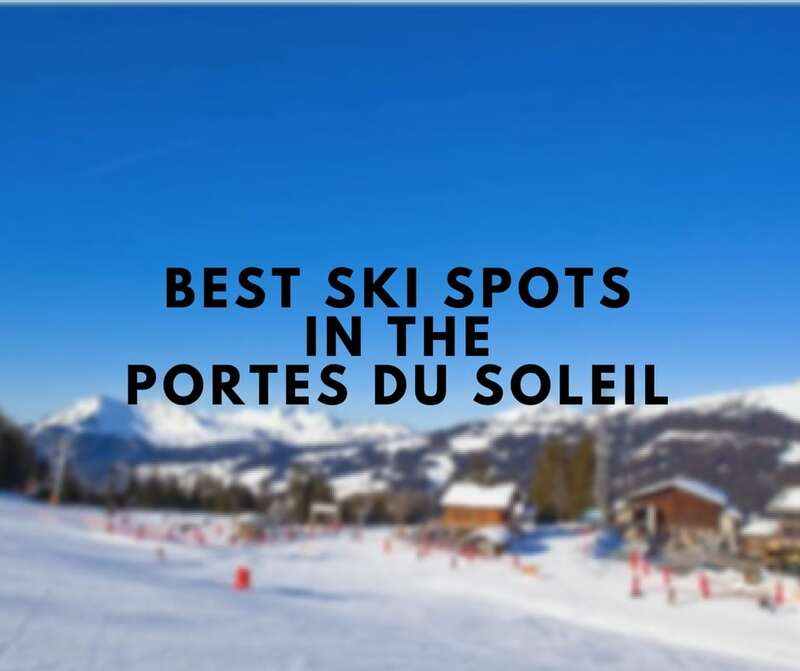 The Portes du Soleil, one of the largest ski areas in the world, boasts an impressive 650KM of marked pistes. Paired with never-ending off-piste, free-ride areas, and more itinerary runs than you can shake a ski pole at. I’ve been given the hardy task of writing about the best spots to ski or snowboard in the area… So you’d better get settled. Having spent three seasons in the Portes du Soleil, I’ve experienced more than my fair share of weather and piste conditions in the mountains. Ranging from chest deep powder and blue skies, to bullet-proof ice in the thick fog, and all that lies between. And so I think it would be good form to write about the best spots, in conjunction with the appropriate weather conditions i.e. where is best to head in times of fresh and times of firm. Now, if we’re talking about fresh snow, you know, the kind of snow that’s light, fluffy, and deep, three spots instantly spring to mind. However, if you’re keen to venture into the powder, only go with a guide or a local who knows the area, and always bring proper safety equipment. Burton’s famous ‘stash’ park is a mishmash of snow-park, and an off-piste heaven in the trees. Grand wooden features such as rails and wall-rides litter the runs. Between these obstacles is a seemingly infinite amount of tree runs for you to tackle all the way down into the ‘Linderets Bowl’, perfect for riding after a storm as the avalanche risk is generally low in this area. This spot is heavily laden with trees and so is perfect for those days when the light is low and it feels like you’re stuck in a giant ping-pong ball. Trees add definition. Remember that. 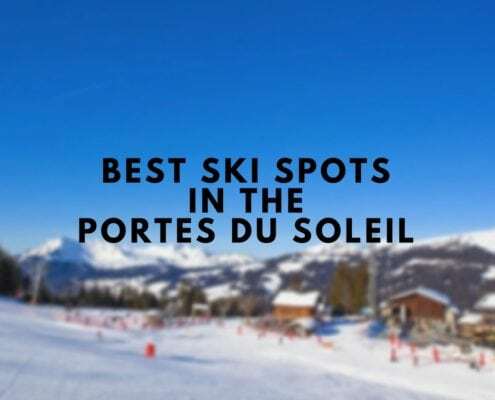 Les Crosets is a resort on the Swiss side of the Portes du Soleil, and when the snow is right, and the light is ok, you cannot find a place more magical for floating on the steep and deep. Every inter-connected piste is surrounded by this ‘free-ride-side-country’ terrain, which can only be likened to skiing or snowboarding on the moon. 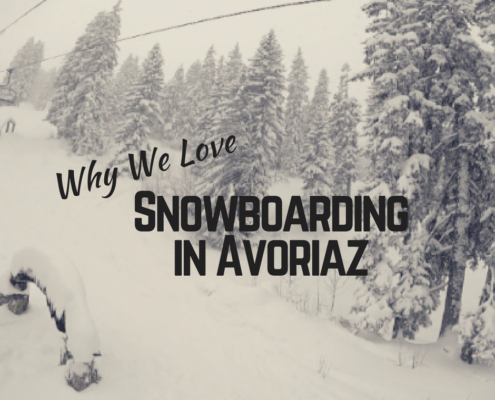 You can hit a wide-open powder field, bomb across the piste, hit another field, and repeat. All day long. This area is best enjoyed with copious amounts of snow and lashings of sunshine. As there are no trees for miles around this area can get somewhat tricky in low-light situations. Chatel is just a couple of chair lifts away from the aforementioned ‘Linderets Bowl’ (you will become familiar with this area very quickly once you get here). It’s as a family friendly Les Crosets. The terrain is wide open and amazing when the conditions are good, but it certainly is a lot more mellow, so a great place to introduce the youth to proper pow shredding perhaps? This area has trees, but not many, so you may get away with a low-light day here, but it’s much more enjoyable in the baking sun. When we talk about firm snow, a lot of people will refer to this as ‘ice’. While it may not be as severe as all that, on occasion the firmer pistes, cold temperatures and lack of visibility can take a skier or snowboarder (especially a snowboarder) by surprise. So it’s perhaps preferable to find somewhere that soaks up the sun, and gets blasted with those good, good rays which soften up the snow and make for playtime on the hill. 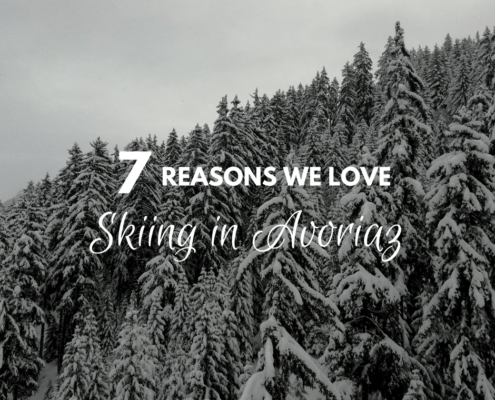 Super Morzine AKA ‘the local’ is an area at the foot of Avoriaz (but on the Morzine side). It’s super mellow, and super fun. Even though this area is quite petite, there are plenty of tree runs, side hits, and crazy wide pistes to get experimental on, and the best part is that it gets the sun pretty much all day, even in cloudy conditions the solar rays will break through and soften up the slopes, meaning all you have to worry about are those turns. 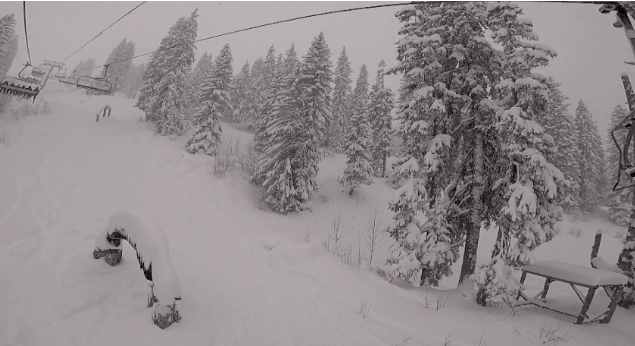 This area has a fair few trees, and is mellow so would be perfect for most conditions. Similar to Super Morzine, except with wider pistes and a lot more families (expect ski-school snakes galore in term-times). This is basically the main hull of Les Gets. The pistes are crazy wide, and go from treeless, to forests, so you can certainly take your pick here. The beauty of this place is that, when the snow and weather conditions are a little less than ideal you can cherry pick the best parts of the mountain to enjoy some slope time. This area is great for bad weather, plus there is a supermarket in the centre for pre and post slope refreshments! Now, I might be slightly biased, seeing that this area is quickly becoming my second home, but let me tell you this: The Portes du Soleil is a miraculous place, with amazing people, and even more amazing skiing and snowboarding experiences out there than it’s possible to cover in a lifetime, it just gives and gives and gives. You’d have to be mad not to come for a visit.